Based in Chicago, this company cultivates medical and recreational cannabis for distribution across the country. 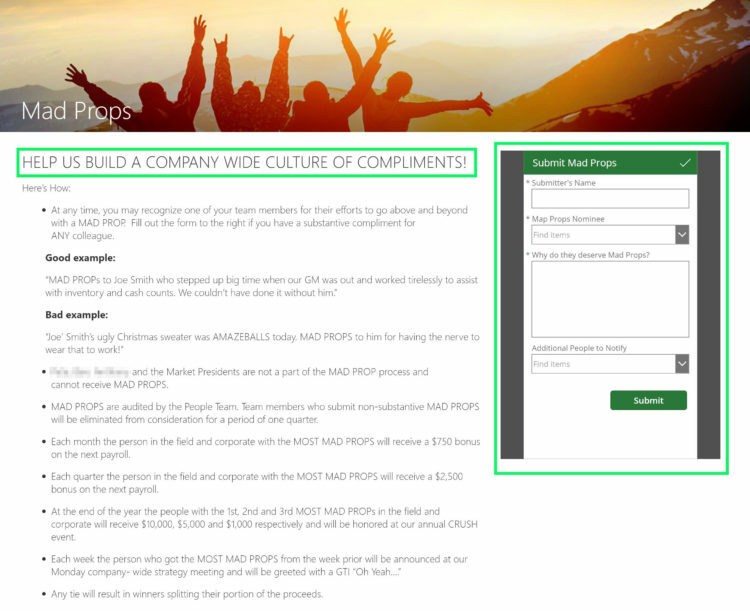 Growing by leaps and bounds, the company needed a simple-to-use, reliable intranet to keep their far-flung employees and associates in the loop with company policies and information. 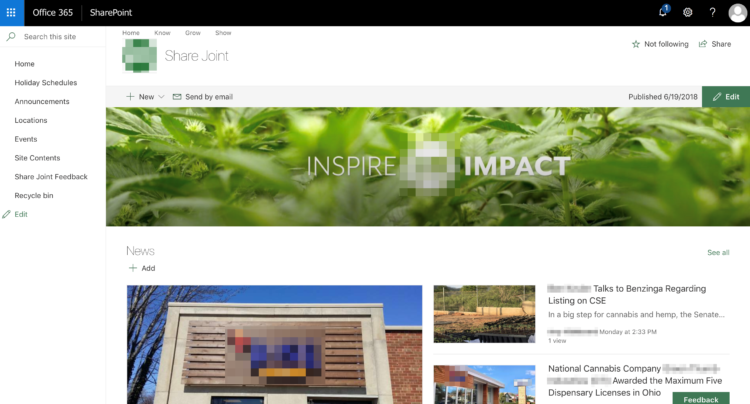 Using SharePoint Online on Office 365, SPR quickly built an attractive and functional intranet called Share Joint (yes, really) with a few value-add services to boot. The company wanted to provide employees with “a single source of truth” and all the tools they need to perform everyday tasks. Since the company sells products in multiple states, the site would also be a central repository and resource for state-specific compliance regulations. Other than that, the company requested only basic functionality so the site could be up as soon as possible. Keenly focused on building an intuitive and engaging user experience, SPR developed an image-rich, clean, easy-to-use site that hits all the points that matter. 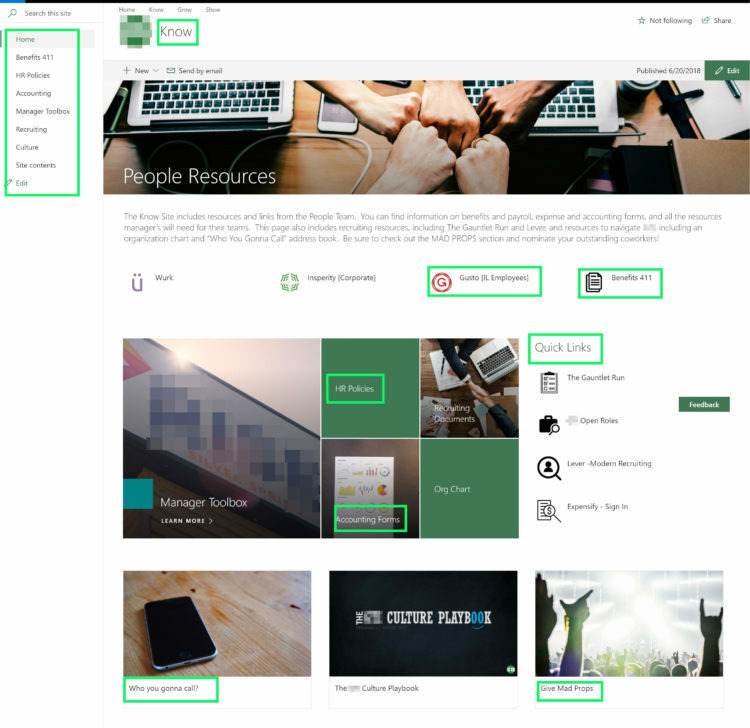 Everything was built using SharePoint Online out of the box with no customization, a testament to SPR’s expertise using Microsoft tools to create a great UX – and proving that sometimes the simple solution is the right solution. Since SPR completed Phase I early, they added a few extra services that employees appreciate. Mad Props – An app where employees can nominate others for kudos on a job well done. This replaces the previous process of multiple emails and keeps track of submissions better. 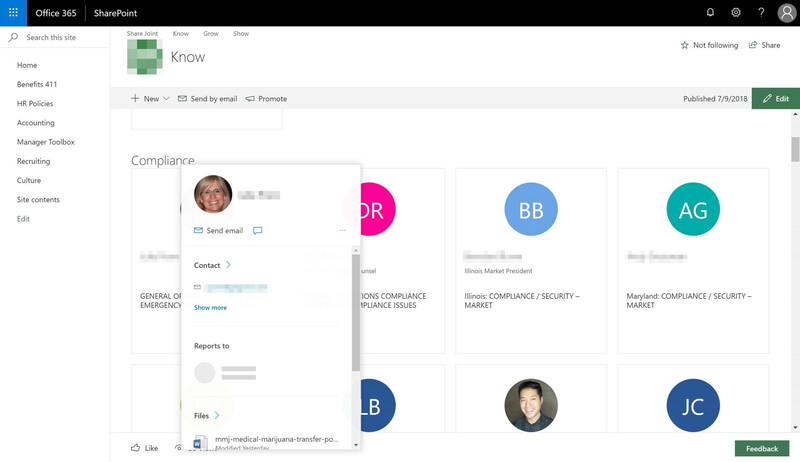 Locations List – A SharePoint list that enables users to filter and sort the location addresses, creating a single source of data and reducing the number of emails. Who Ya Gonna Call? – A page that lists contacts for various departments and subject matter experts on certain topics with easy to contact links for emailing and chatting. In the client’s own words, they didn’t know what they wanted the site to look like, only what it had to do. They were “blown away” by the beauty and simplicity of the site. The company CEO’s litmus test for a successful result: Can a person enter a new state, be given a job, and find everything he or she needs to do it on the Share Joint? (Yes.) With the rapid expansion of the company, this scenario was becoming more common every day. Feedback from stakeholders throughout the company has been great. In addition, SPR also came in early and 30% under budget. 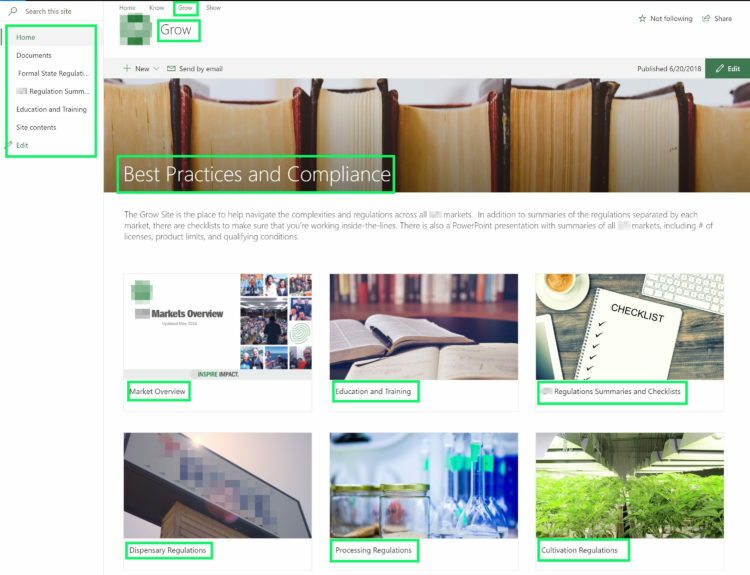 With the extra funds, SPR has offered to provide site training, training on Office 365, or ongoing support services.